Alistair and myself just wanted to thank you you all so much for making our special day such a magical one, without all your help that wouldn't have been possible, the photographer was amazing too!!! We can't wait to see our pictures. It was a pleasure to meet you all-finally!!! Thank you once again, we loved every minute and will remember it as the best day of our lives!! You are amazing people Laura, Sarah, Martina, Chiara and Liana we will never forget you!!!! 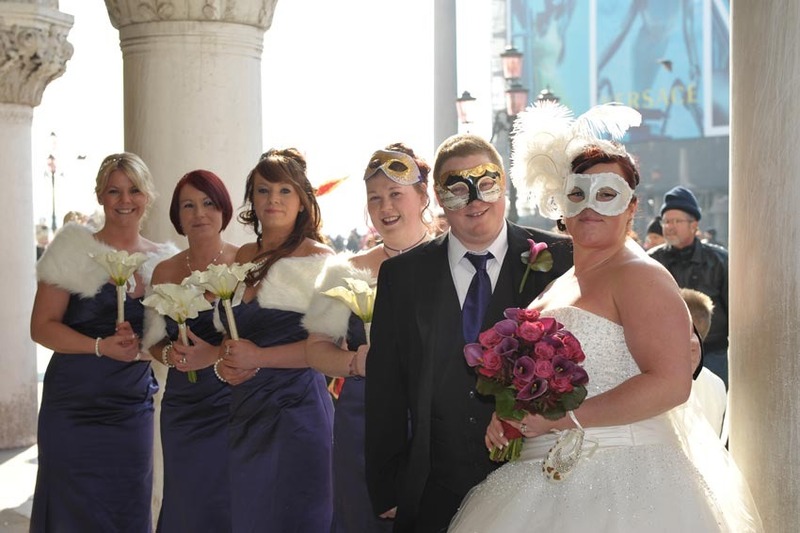 Hi Laura and all at Exclusive Italy Weddings. Well, it's our last evening in Venice before flying back to England and normal life :-( Alistair and I just wanted to say to you and everyone there thanks so much for making our wedding day fantastic and one that we will never forget-we will be talking about it for years to come. Your attention to detail and patience with us (me especially) has been very much appreciated and we have never met such a professional, kind and lovely group of ladies before, you are all angels to us!!!! We cannot wait to receive our pictures to show all of our family and friends back home. Once again we thank you all from the bottom of our hearts!!! !